New dental operating stool doctor’s chair nurse’ chair assistant stool PU cushion. Large Image : New dental operating stool doctor’s chair nurse’ chair assistant stool PU cushion. -Humanization design, comfortable sitting even long time treament. -Made by aluminium alloy, strong and safe, avoid medical accident. -Famous brand gas spring, adjust up and down at any height, also can adjust fornt and back. 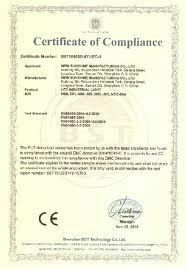 -PU caushion make by brand new raw material, looks new even use long time. -Smooth lines and easy-to-clean surfaces ensure total surface hygiene. -Memory spnge as stuff, never collapse. -Broad 5-castor base guarantees smooth movement. The wheel castors have protective covers. PU have 8 colors, there are light blue, bark blue, grass green, apple green, pink, orange, yellow, and dark green. There are 5 colors of real leather: Cream-coloured, brown, purple, grayish red and drak gray. -Gas spring suspension and easy-to-reach adjustments at user's fingertips. -Chair base material is corrosion-free, impact and abrasion resistant plastic. TOYE dental stools are anatomically designed to provide optimum support and a high degree of comfort. The four models cater for diverse user needs. Easily accessible adjustment levers allow effortless adjustments while seated without distracting the treatment. The broad five-castor base enables smooth movement on various surfaces. The smooth lines, rounded forms, and easy-to-clean surfaces guarantee impeccable surface hygiene. 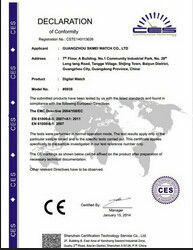 -Reliable manufacturer meets the standard of the world. -Experienced Research and development team. -Skilled workers all have more than 6years stay in the factory..
-More than 10years OEM experience,Goods export to EU,USA, Mid-east.South America..
-An ISO13485 and CE certificate factory.